Under the instruction of President Donald Trump, the US Department of Commerce issued affirmative final determination on stainless steel flanges from the People’s Republic of China on April 6, 2018. This can be treated as an extension of the ongoing trade war between China and the US. Since we have been exporting stainless steel piping materials to several US partners, this policy has negative effects on the business inevitably. According to the announcement issued, the countervailing duty (CVD) investigation of stainless steel flanges from China finds that the exporters from China received countervailable subsidies of 174.73%. That’s why the Commerce Department will instruct U.S Customs and Border Protection to collect cash deposits from importers of China’s stainless steel flanges on the same final rate. 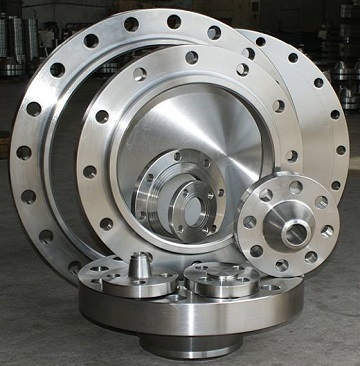 The affected products include both cast and forged stainless steel flanges manufactured to ASTM A351 and ASTM A182 such as, but not limited to grades 304, 304L, 316, and 316L, in finished or semi-finished product form. The H.T.S code of the product covers 7307.21.1000 and 7307.21.5000. The fact sheet specifies types of the flange: weld neck, slip on, socket weld, lap joint, threaded, and blind which are sized from 1/2″ to 24″ within the scope of all pressure classes of ASME B16.5. Various types of stainless steel flanges affected by the U.S new CVD investigation. The countervailing duty investigation was conducted under the request of the Coalition of American Flange Producers and two of its individual members: Core Pipe Products, Inc. and Maass Flange Corporation (Houston, TX). The Commerce contacted 4 flanges manufacturers from China and labeled them as “mandatory respondents”. Then it calculated a subsidy rate of 174.73% based on “adverse facts available” due to “their failure to cooperate in the investigation”. For God’s sake, how the US Commerce manage to do it? Then, the almighty Commerce determined a rate of 174.73% for all other Chinese producers and exporters. The silver lining is that the US government will hold this policy until they make its final injury determination on or about May 21, 2018. It is clear to any reasonable person that neither Chinese flange manufacturer nor exporter shall be blamed. We have competitive price is because of the comparative advantage in world trade not because of subsidization. The Chinese workers work hard and produce premium-quality stainless steel flanges in accordance with the purchase order placed by US clients. Now the US government tries to simply reject them by using some ridiculous excuses. This is absolutely unfair. The trade deficit of US is not because China takes advantage of you but results from globalization since people of developed countries especially the US are not fully prepared for it. More ironically, according to the US Commerce, “in 2016, imports of stainless steel flanges from China and India were valued at an estimated $16.3 million and $32.1 million, respectively”. Apparently, if the US remove Chinese flange producers from the Mr. Allowed list, Indian producers will take the vacancy with probably lower price. Still this is more detrimental to US domestic producers.